There was a recent study done on elderly peoples in hospital. 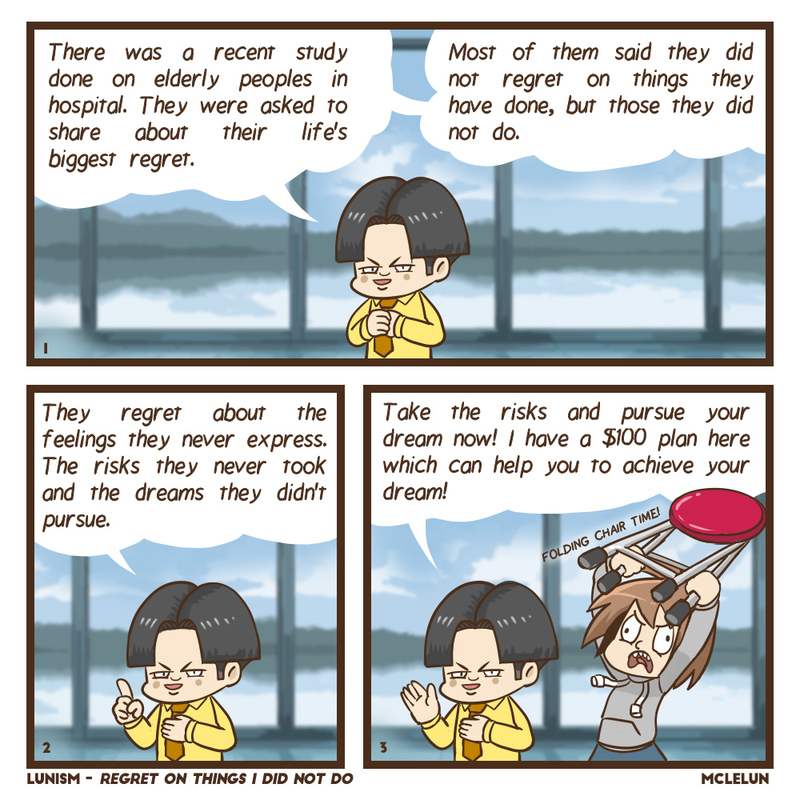 They were asked to share about their life's biggest regret. Most of them said they did not regret on things they have done, but those they did not do. They regret about the feelings they never express. The risks they never took and the dreams they didn’t pursue. Take the risks and pursue your dream now! I have a $100 plan here which can help you to achieve your dream!